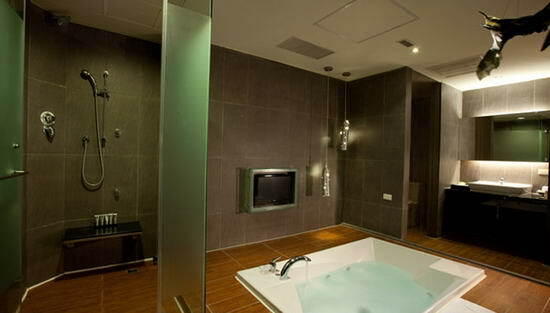 Home / Places / Batman Hotel Room in Taiwan! 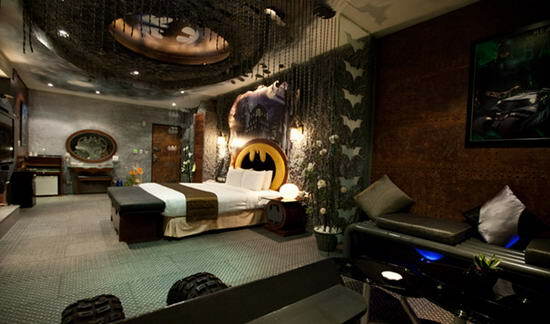 Batman Hotel Room in Taiwan! 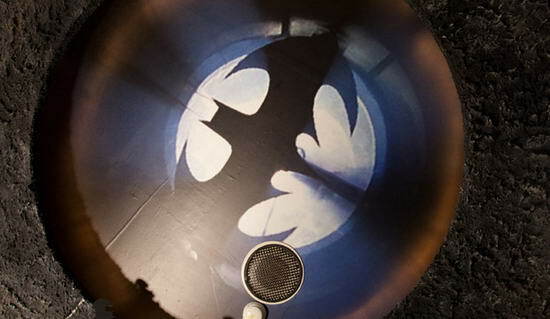 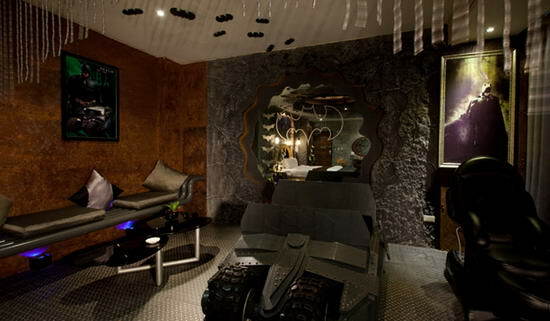 A luxury motel located in Kaohsiung City, Taiwan has created an awe-inspiring Batman-themed room with trademark Batman logos and a life-size Batmobile. 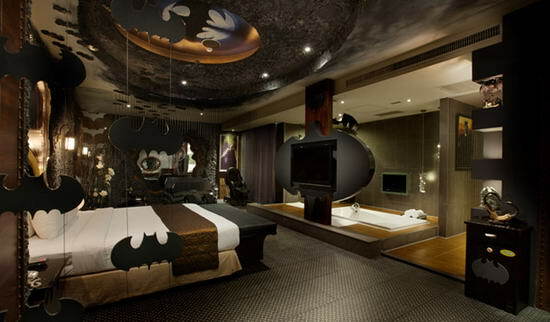 For Batman fans or even those who enjoy a good themed-suite, the Batman room at the Eden Motel in Taiwan is perfect. 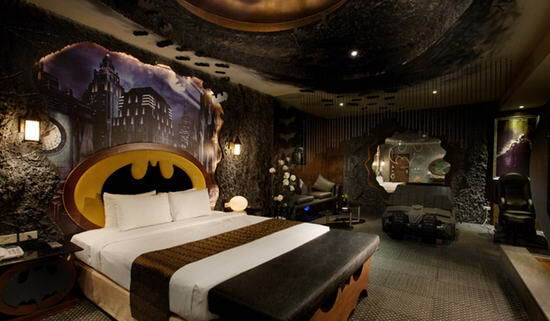 Decked out with numerous Batman inspired amenities, this luxury motel suite features detailed aesthetics similar to the Batcave, trademark Batman logos and even a life-size black and yellow Batmobile, which was designed to imitate the Batmobile featured in the latest Batman trilogy.